The Mapuche economy has changed significantly over time. In the 16th century, the people had a hunting–gathering mode of subsistence, complemented by the quasi-domestication of camelid herds and non-intensive subsistence farming—mainly growing crops on forested land cleared by burning. This subsistence economy involved little storage of the food produced. Women were in charge of domestic labors and crafted ceramics and textiles (düwekafe/weaver). 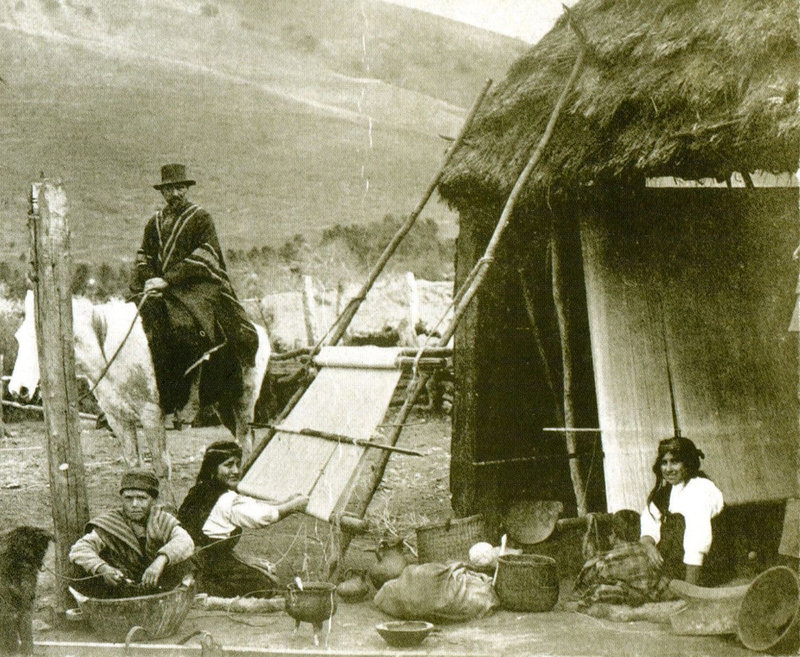 The colonial period’s War of Arauco brought a wartime economy, in which assaults and raids provided revenue for the Mapuche. 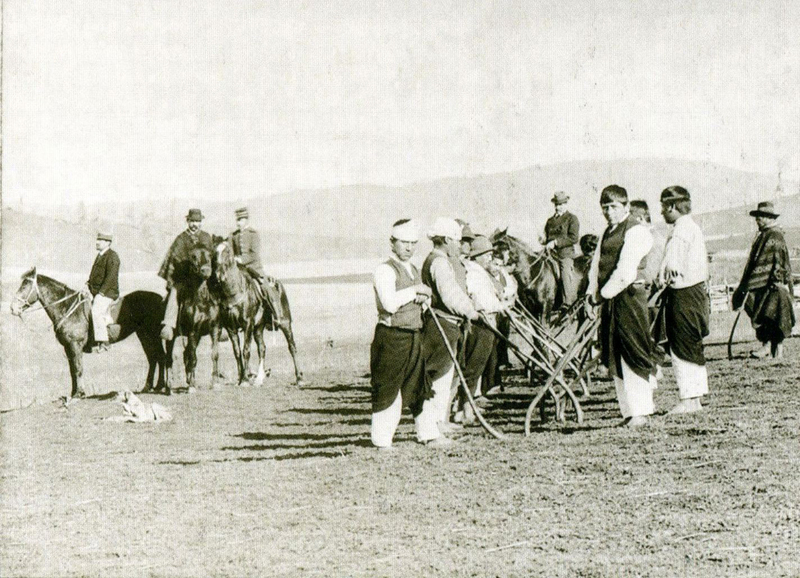 At this time the Mapuche also began to use horses, which became an integral part of what we know today as the “traditional” Mapuche economy. The 17th and 18th centuries witnessed the process known as the ‘Araucanization of the Pampas,’ in which the Mapuche people began to raise livestock, establishing and consolidating a trading circuit along the Chilean-Argentine border. 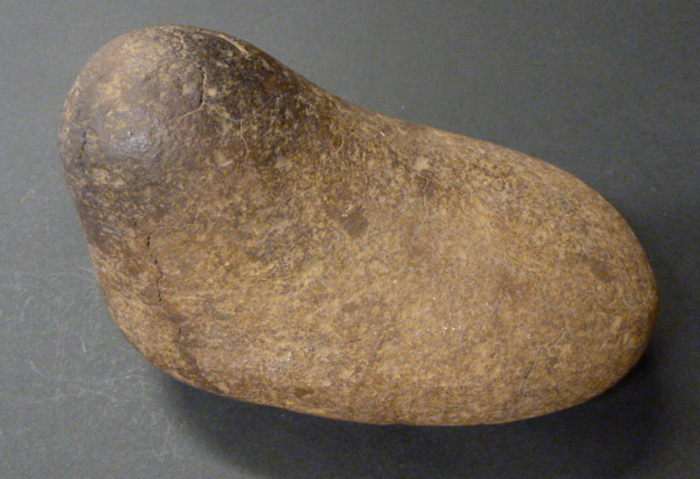 Through this exchange, the Mapuche emerged as Chile’s leading horse and cattle traders. Textile manufacture for both personal and commercial purposes also increased at this time, as did basket making, ceramics and, most significantly, silversmithing. The latter was considered men’s work (jeweler=ngutrafe or retrafe), and reached its highest expression in the 19th century. 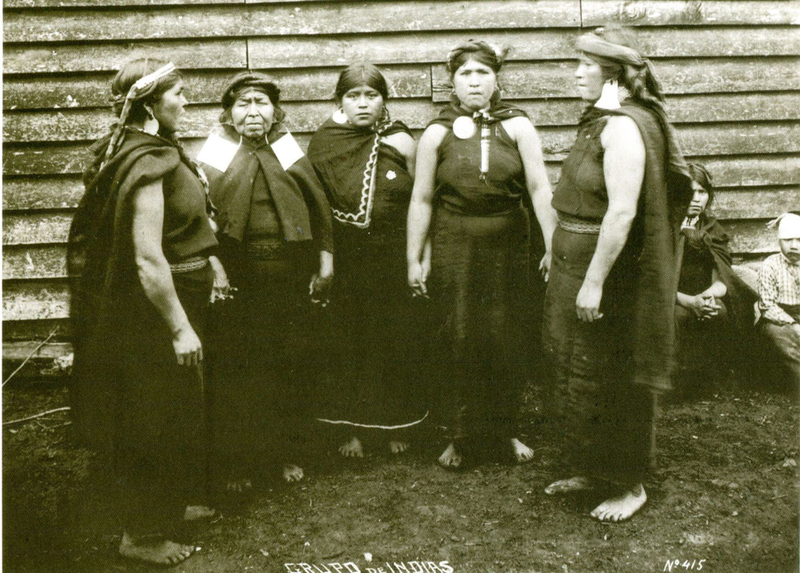 In 1881, the ‘Pacification of the Araucanía’ ended this stage of Mapuche economic success and relative autonomy. 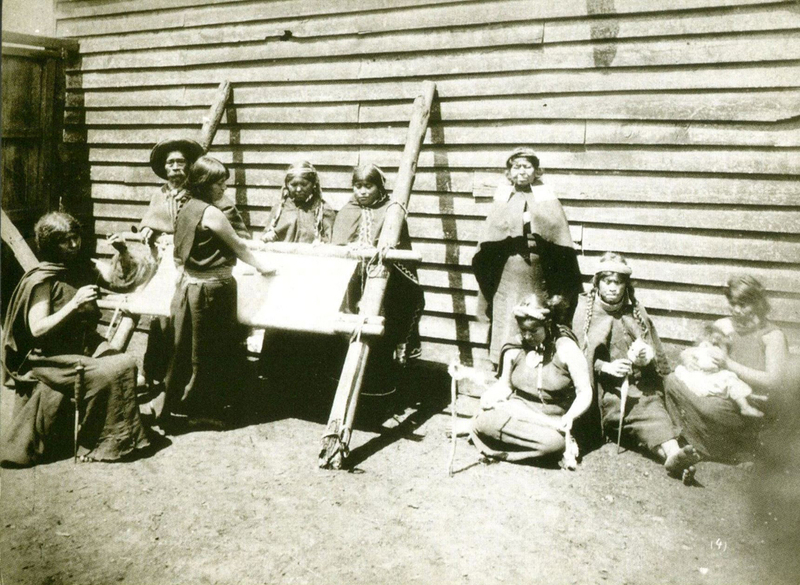 The Indigenous Settlement Commission was created at this time to curtail the indigenous population and establish indigenous land titles (títulos de merced, private land ownership among a particular group of individuals). Over the next 20 years the Mapuche sank deeper into poverty, but made use of communal land rights, returning to subsistence farming with rudimentary technology and small scale livestock herding. 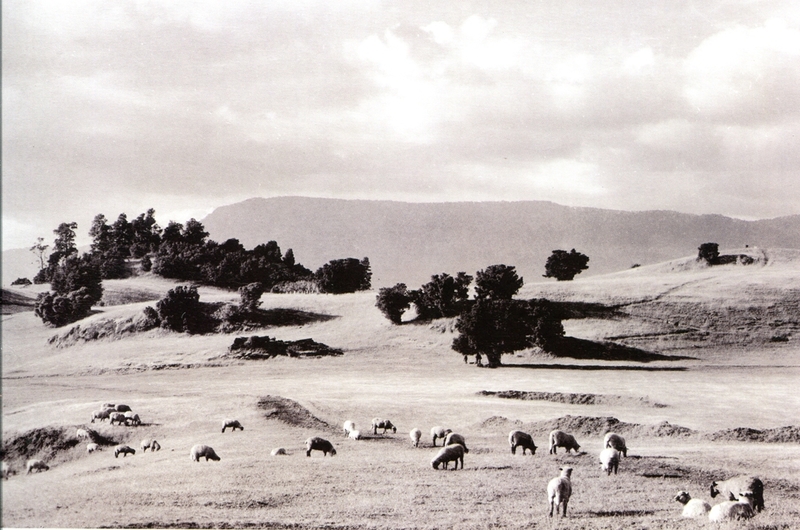 The Mapuche ruka, located on a small plot of land now held privately, accommodated families, their livestock and other personal property. 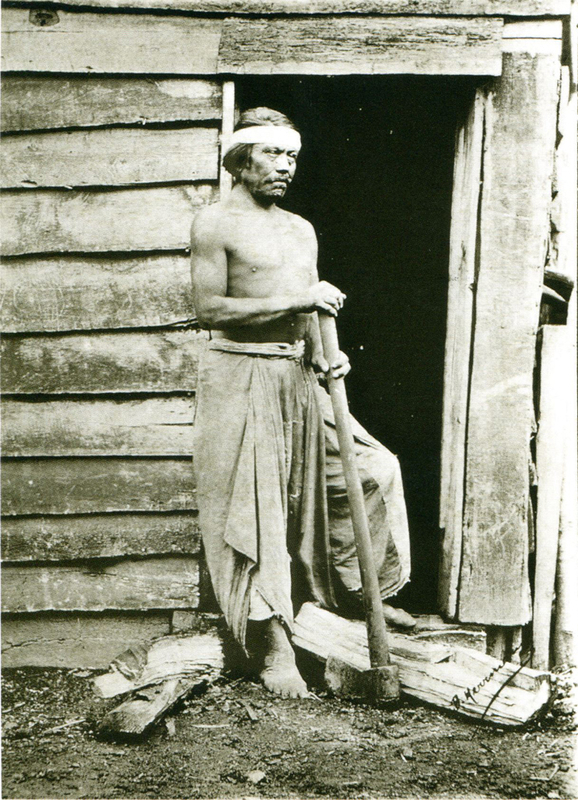 The only communal activities still practiced were a form of sharecropping (mediería) and the communal building projects (mingaco or ‘return the favor’), organized when many hands were needed. 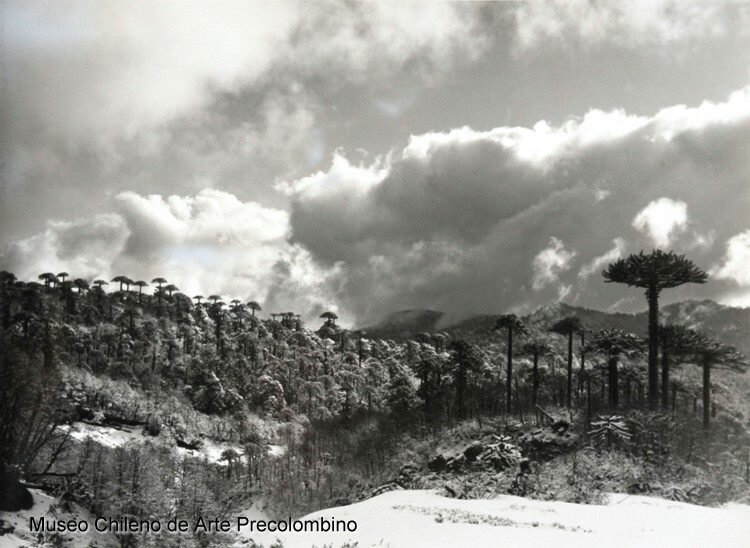 Some direct consequences of restricting the traditional Mapuche way of life have included the over-extraction of trees on their land, the destruction of forests from lack of reforestation and the further depletion of already poor soil. Indirect effects include the ageing and progressive masculinization of the local Mapuche population, where migration has occurred to alleviate demographic pressure. 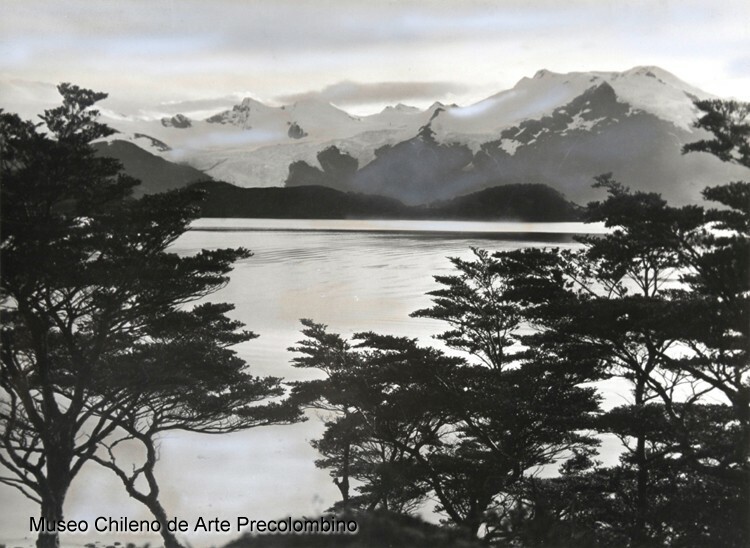 Still, migration has also been one of the central ways through which the Mapuche have integrated into Chilean society. Today, most Mapuche live in cities, although some of them (mainly elders) still practice the more traditional lifestyle of small scale producers, as they did in the country. In general, the productive strength of the present–day Mapuche people is still founded upon their work ethic, the land and on their robust internal solidarity. 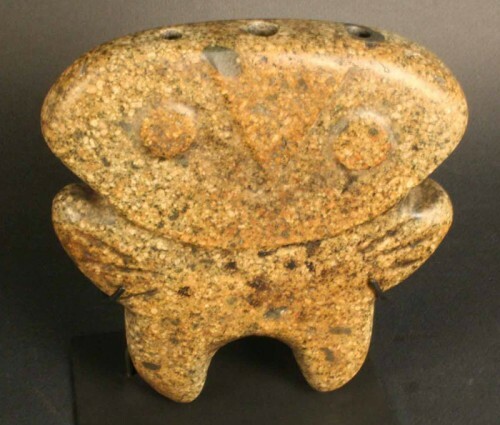 Mapuche art can be described as a synthesis of two major traditions—pre-Hispanic and Hispanic-European. It is an expression of the people’s ideology and cosmology and has been passed down from generation to generation, like other Mapuche traditions. One form of that art is the people’s renowned silversmithing techniques (called rutran), which began when the Spanish arrived and small scale smelting was introduced. 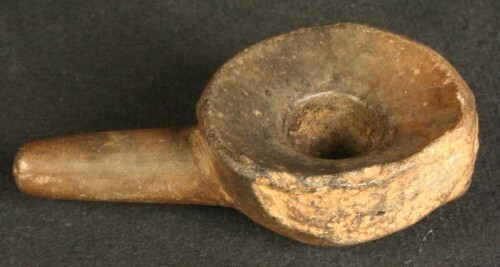 The Mapuche combined these new techniques with their knowledge of metal sheetwork, traditionally used to manufacture copper jewelry. Over time, silver Mapuche jewelry became a central feature of Mapuche women’s traditional attire and an important component of their bridal dowry. Typical pieces include the chain link belt (trarilonko), earrings (chaway, upul), breast ornaments (trapelakucha, sikil, runi, llol-llol), breast pins (akucha), and the pins used to hold their woolen shawls (tupu, ponzón), as well as silver rivets adorning the leather and woven straps used for their horses. 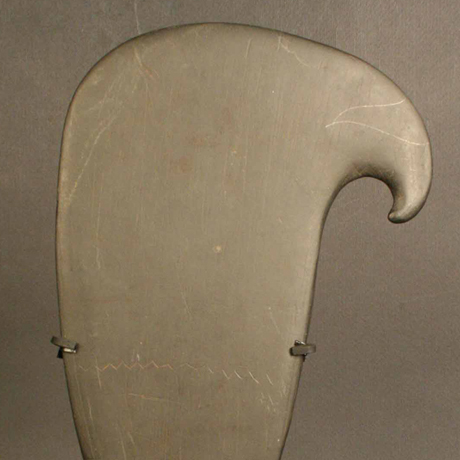 Silver was also used to make the horse tack, most notably the beautifully crafted Mapuche horse shoes, spurs and stirrups. Woven cloth is also a central element of Mapuche identity. Usage and traditional symbolism determined which colors and designs would be used to make their ponchos (makuñ), woven sashes (trarihue), blankets (pontro), bedcovers and woolen bags. Mapuche pottery boasts its own emblematic pieces, including metawe, earthenware jugs in asymmetric designs made to resemble animals such as ducks, chickens and frogs. The Mapuche are also known for their woodwork in beautiful native hardwood species such as roble, laurel, raulí, alerce and coigüe. 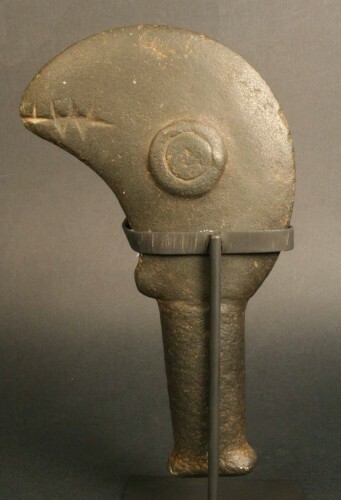 The items they produce range from domestic utensils (platters, bowls, spoons) to ritual objects such as the kollong (mask), the rewe (ceremonial altar) and the chemamull (carved tree trunks with multiple heads that were used for funeral rites). Less well known is Mapuche basketry, which produced heavy, densely woven baskets that were used for carrying, transporting and washing food, as well as for winnowing grain. 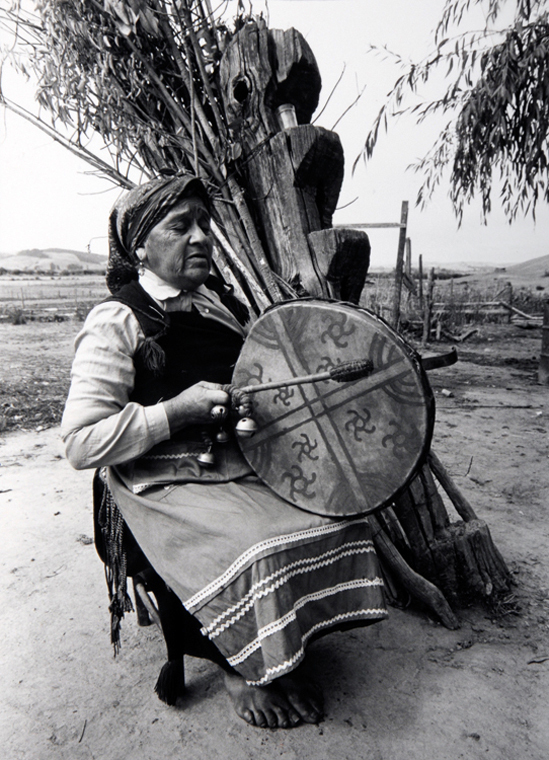 Mapuche art also includes music and dance, with instruments such as the kultrún and truruka used to produce the unique sounds that characterize traditional rites celebrating the Mapuche cosmovision and cycle of life. 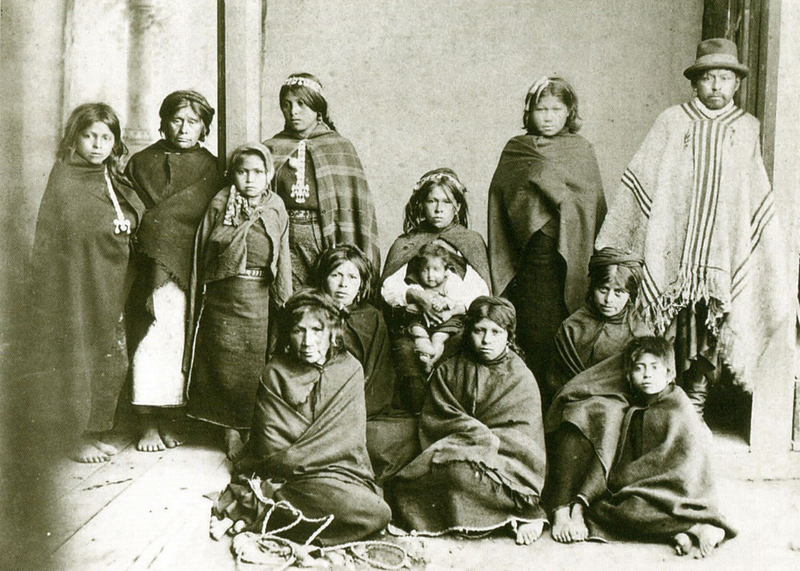 Up to the 16th century, Mapuche society was organized in a polygamous kinship system that was patrilineal—lineage was passed down through the male line. 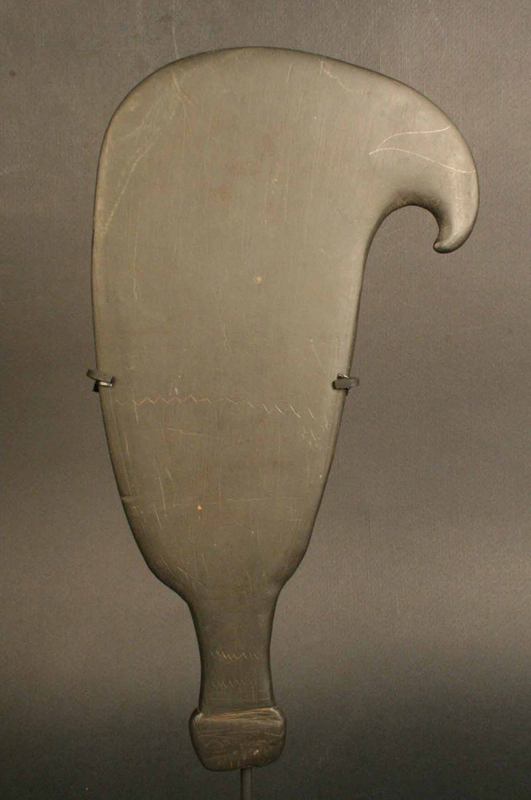 In the first half of the 17th Century, the figure of Cacique became more prominent, with groups organized during wartime into a military hierarchy. 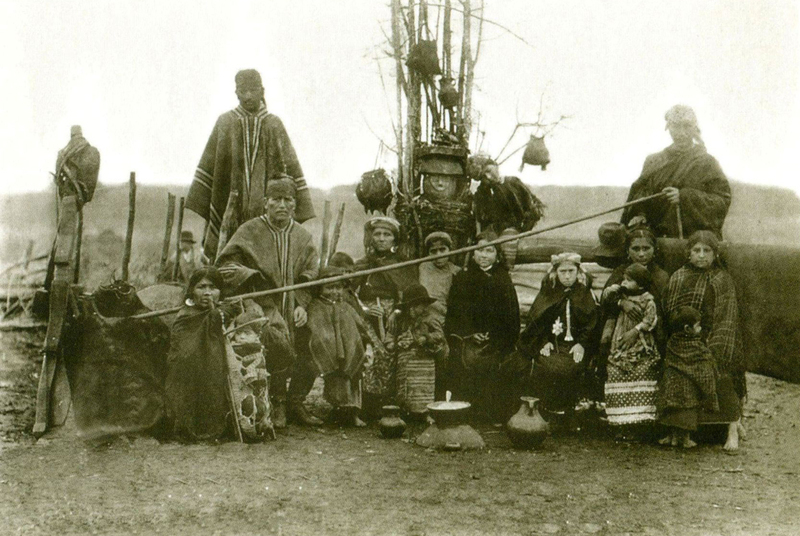 At this time the wartime leaders or tokis emerged to play a strategic role in Mapuche society, while colonial authorities attempted unsuccessfully to bolster the role of the lonkos, local community chiefs. 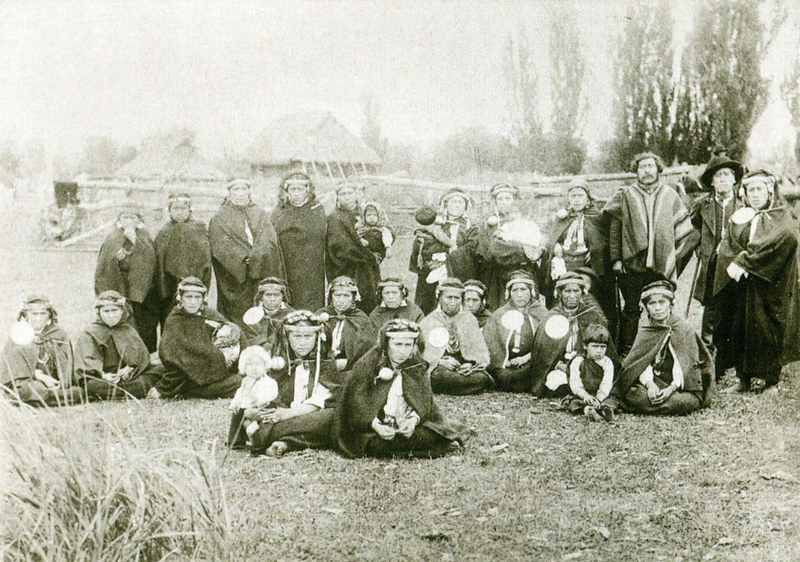 After the Mapuche were defeated in 1881, a protectorate system was introduced and the authorities began handing over land to family based communities, identifying each estate with the name of the corresponding cacique or lonko. 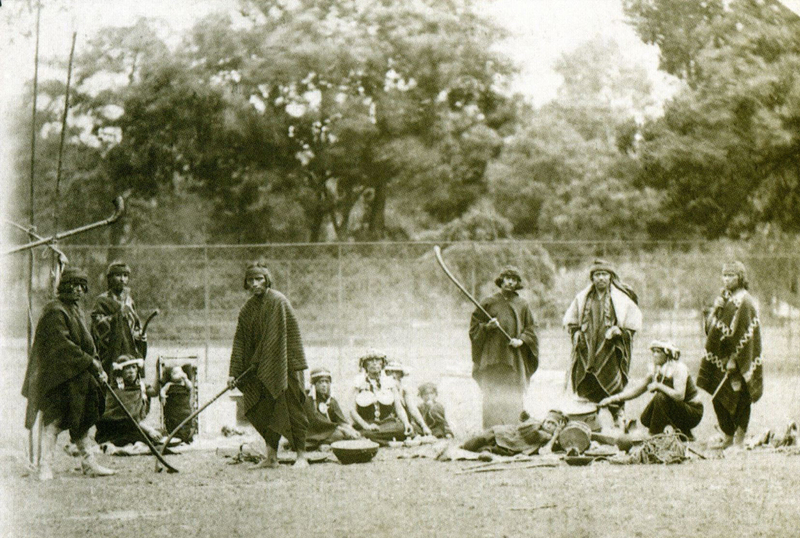 The establishment of these communities did little to integrate the Mapuche into Chilean society, as their society had no similar concept or practice prior to the establishment of the reductional regime. Today, a Mapuche community is a primarily patrilineal consanguineous group that was established when an indigenous land title was granted to a chief and his family. These communities had little internal social stratification, but did impose some limits on loyalties, with family coming first and the community second. Today, however, most Mapuches reside in the working class neighborhoods of large cities and identify more with cultural centers that seek to reestablish the ethnic identity of the urban members of this indigenous group. Current Mapuche religious practices are imbued with syncretism—an attempt to reconcile opposing concepts, in this case those introduced by Christian evangelists and those of traditional Mapuche cosmology. This process has produced new symbols, rites and dimensions of the sacred. 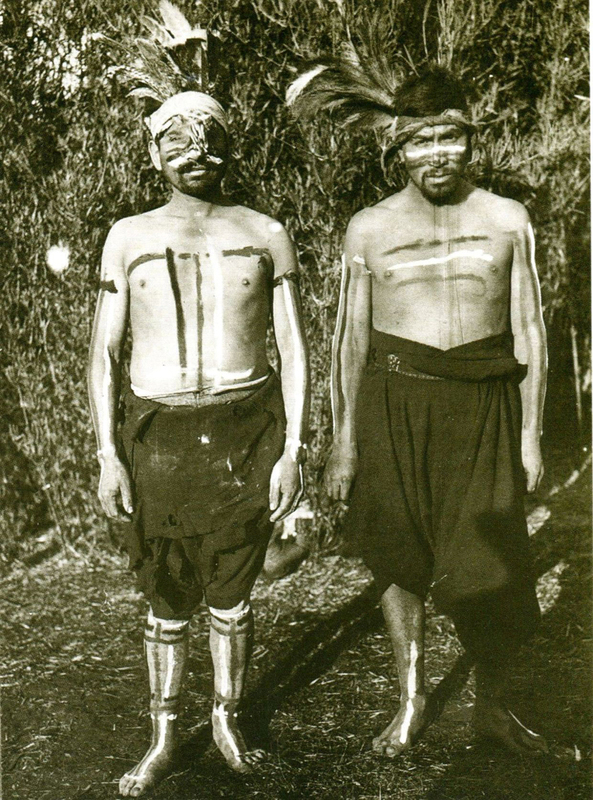 The Admapu includes all the traditional symbols, customs and beliefs of the Mapuche people and their world (mapu), affirming that these were created by Nguenechén (“master of Man”). 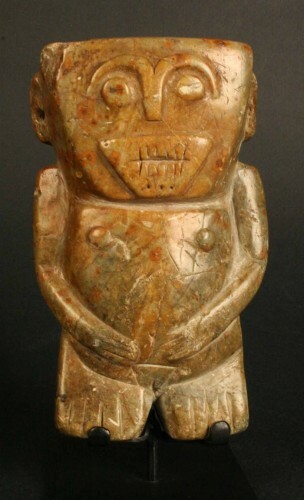 In former times the primary mythical figure was the Pillán, the founding ancestor of the Mapuche lineage. The Mapuche cosmovision is organized around the duality of left and right, with the former associated with inferior things and the latter with superior things. The dichotomy of this dualism produces pairs of opposites, resulting in a four-part system that is best represented in the design typically seen on Mapuche ceremonial drums or kultruns. This four-part system is also seen in religious rites, in which Mapuche shamans (machi) invoke the four great deities: the Elder Male, the Elder Female, the Young Male and the Young Female. 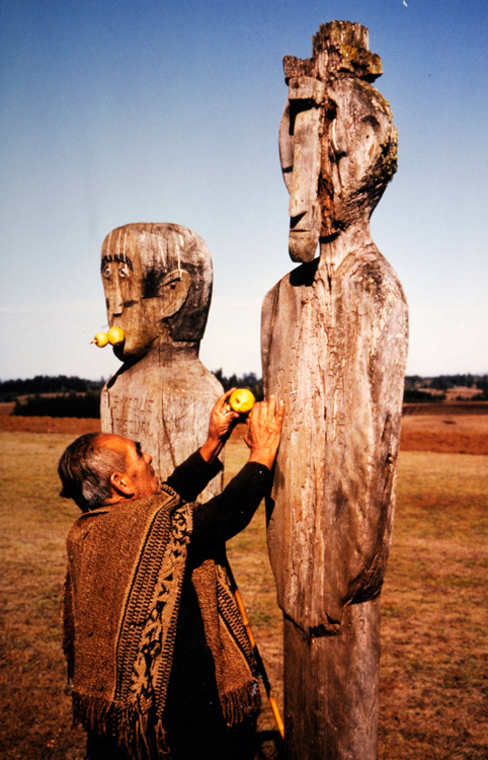 The four heavens of the Wenumapu are symbolized in the number of dances or prayers in the Nguillatún or rogativa, one of the most important Mapuche ceremonies. 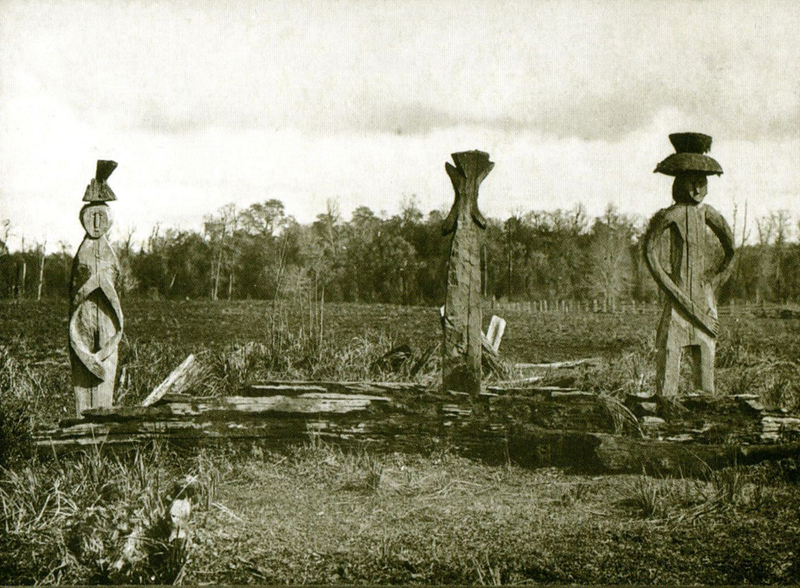 The Mapuche buried their dead in different ways through the ages: Some were buried in canoes or hollowed out trunks, others in stone boxes, others directly in the ground and still others in ceramic funeral urns. 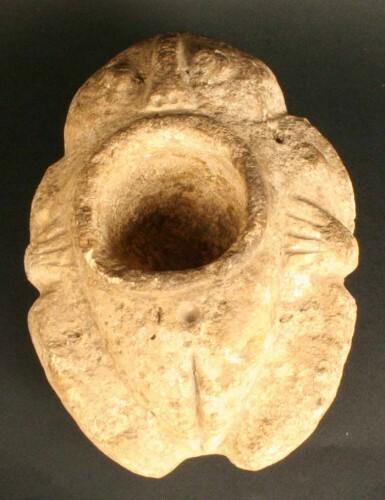 Urns were the most common form of burial among the people of the El Vergel culture, who inhabited the lands between the Bío Bío and Toltén rivers. 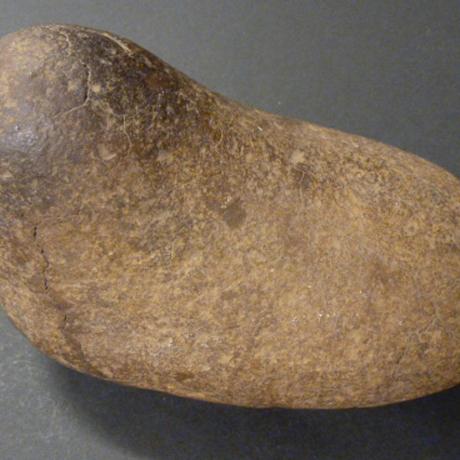 Canoe and ceramic urn burial sites have been found in the same cemetery. The tombs of the most ancient culture—the Pitrén—contained offerings of ceramic vessels, both symmetric and asymmetric pitchers with black glazing or with relief decoration in geometric and phytomorphic (plant-form) motifs. Funerary urns from the El Vergel burial sites are accompanied by ceramic pitchers painted with red motifs on a white background—a decorative feature that was later popularized in the “Valdivia Style” that emerged in Spanish colonial times. 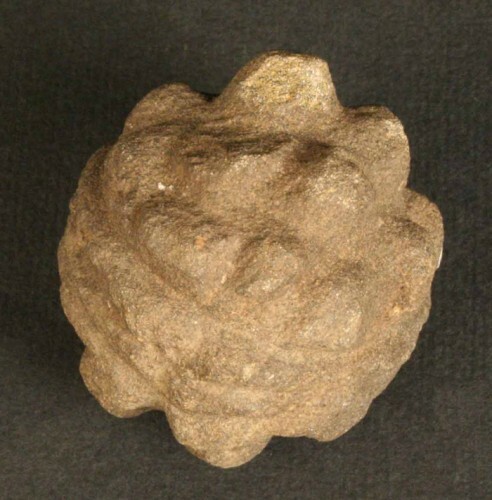 Other artifacts found in these sites include silver and copper ornaments, tools for daily work and equestrian elements. 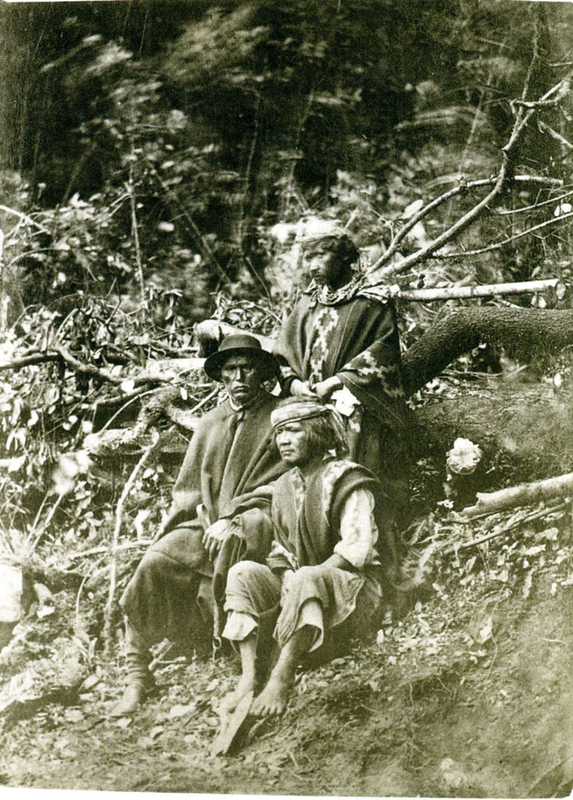 Prior to the 16th Century, the Mapuches are thought to have lived a dispersed and nomadic existence and their way of life was characterized by gathering and by slash and burn horticulture. Spanish chroniclers used several names to identify local groups, including Levo, Lof, and Rehue, probably because of their cultural differences or their spatial or temporal separation. These local groups were composed of different “houses” separated from each other and in which the males of each lineage lived with their wives and unattached daughters. The males’ spouses had been brought from other communities under the prevailing patrilocal system. 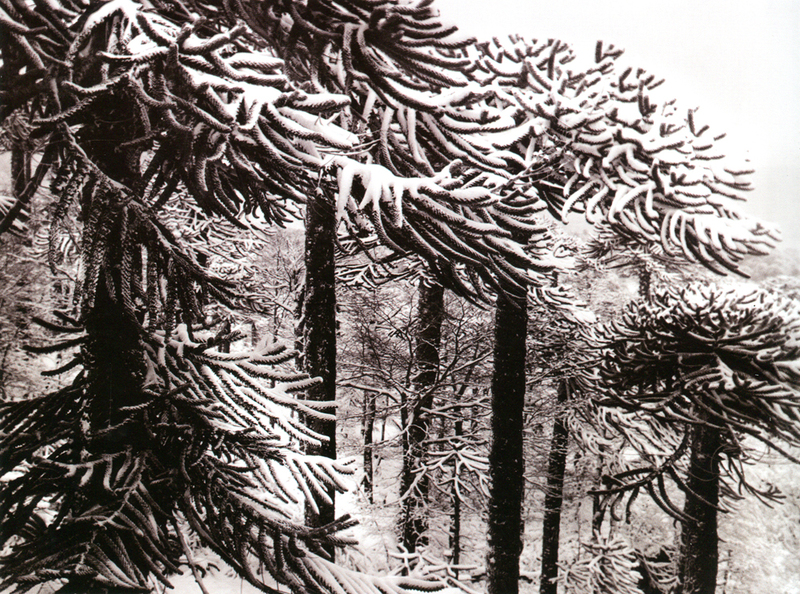 The ruka was the traditional dwelling of the extended Mapuche family. These structures differed in size and form, being rectangular, circular or elliptical. The most common type had a strong frame of roble hardwood and was covered on top and sometimes on the sides with bunches of straw to provide insulation from the extreme cold and to protect the inhabitants from the rain. These dwellings had no windows and only a single entrance, which faced eastward toward the Puelmapu, the Land of the East, homeland of the Gods. Inside, the hearth (kutral) was placed at the center and always kept burning, coating the walls with soot. The Mapuche used very little furniture, mainly wankus (small stools made from a single block of wood) and beds, which lined the walls of their dwellings. Domestic implements hung from the ceiling and walls, and special storage spaces were used to store food. The traditional ruka, which is no longer in use, was built by the community and inaugurated with a rukatún ceremony that included dances with kollong masks. 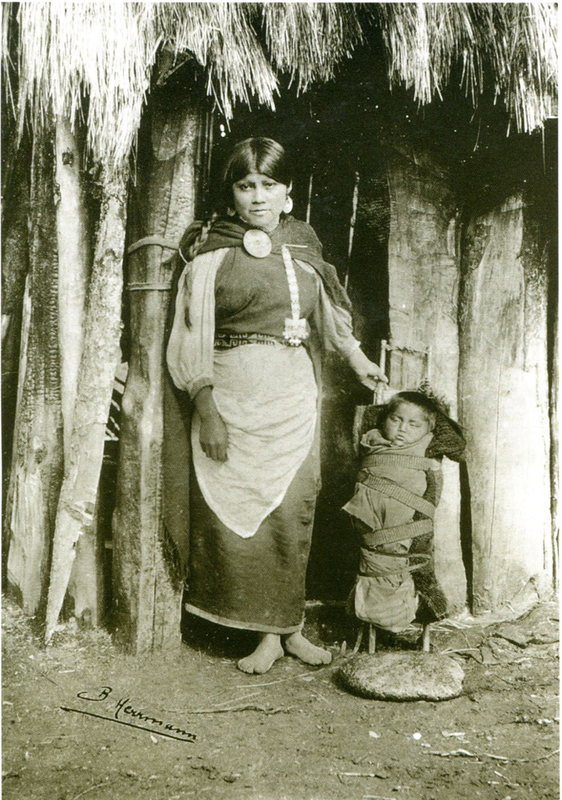 Today, the vast majority of Mapuche communities live in western style dwellings, although their interior divisions and usage of space are reminiscent of the traditional ruka. In urban settings, however, Mapuche dwellings and use of space differ little from those of most working class Chileans. 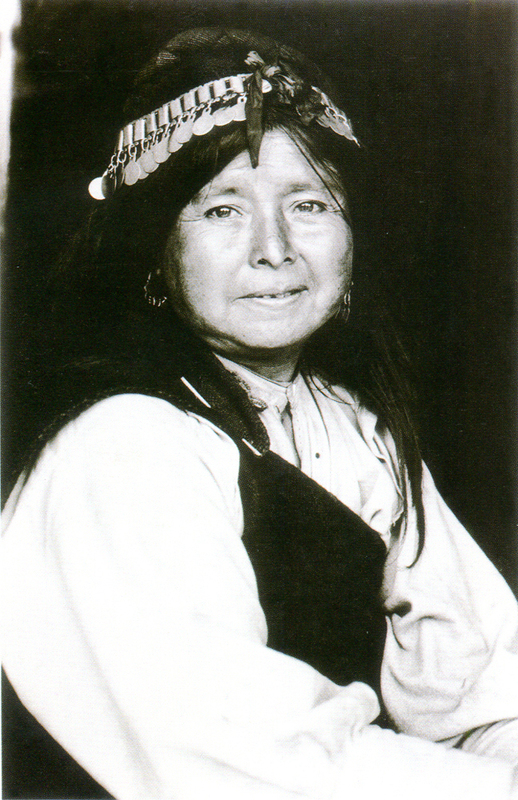 The Mapuche tongue is known as Mapudungu (“language of the land”) or Mapudungun (“the people’s tongue”). Typologically, it is polysynthetic and agglutinative, with frequent use of suffixes. Its nouns can be verbalized and subjectivized to form complex words that are equivalent to an entire phrase in English. For example, the word katrümamüllmean means “I will go to chop firewood” (from mamüll=firewood and katrü=cut, the action of the subject). When the Spanish arrived, Mapudungu was in use from Coquimbo to Chiloé, and from the Andes Mountains to the Pacific Ocean. It is still the most widely spoken aboriginal language in Chile today.